Angela is passionate about helping women with financial guidance, especially during life transitions such as divorce, widowhood, career changes and managing sudden wealth. Through her own divorce, Angela learned how daunting life can feel during challenging transitions. The anxiety of confronting financial matters can be paralyzing. Angela helps her clients navigate difficult questions and challenges during these life-changing events, empowering them with confidence and knowledge. 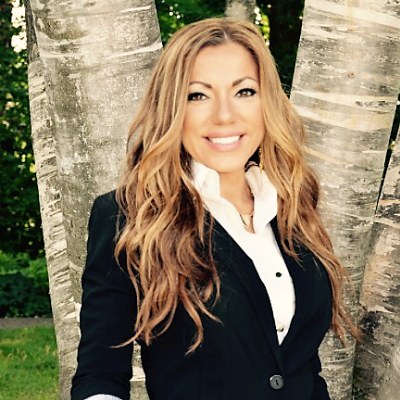 Angela specializes in analyzing the financials for clients contemplating or going through divorce, so that they are better able to navigate their current situation and create a plan to support their future goals. Angela is a member of the Association for Divorce Financial Planners (ADFP). She volunteers her expertise educating women facing life-changing events. She was the founding Chapter Chair for the Divorce Alliance (recognized and provided by the Institute for the Divorce Financial Analysts). Angela earned her MBA from Walsh College and draws from more than a decade of experience in financial services. As an insurance industry professional, she educated financial advisors about how to develop plans that fit their clients’ specific needs.